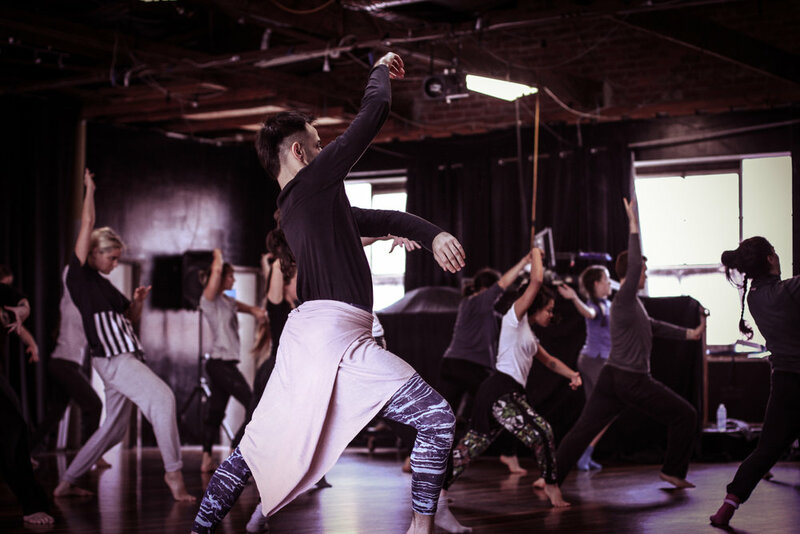 Yellow Wheel offers a program for secondary schools in the Greater Melbourne area to provide quality workshops and classes taught by Yellow Wheel staff and choreographers. Read below for more information about what we can offer your students and contact us to find out more information! Includes a warm-up and the fundamentals of contemporary technique, including floor work and travelling phrases. Can be structured for beginner to advance levels. Teaches students how to create interesting and original contemporary movement through task-based choreography, adding texture, dynamic and manipulation of form. Introduces improvisational movement skills and tools, and how they can be applied to choreography. We can work with you to devise and rehearse ensemble pieces, tailored to your desired performance outcome and curriculum/assessment needs. We can assist with inspiring, rehearsing and/or reviewing solos by your students for their VCE assessment. We can choreograph solo material for your VET students to learn for their assessment. You may have a particular program you want to deliver within your school, or perhaps a regular that exists already, such as a school musical, lunchtime sessions, outreach programs or other such performances. We can work with you to devise, deliver and offer choreography for these projects.